Journalist Scott Minto had a rather peculiar tale to tell as he claimed that West Ham midfielder Declan Rice is on the radar of the Galacticos. Declan Rice recently pledged his alliance to England over Ireland, a move that caused some controversy. And according to Minto, Rice chose England because he was given assurances necessary regarding his international future. Minto also praised the all-round ability of the midfielder. 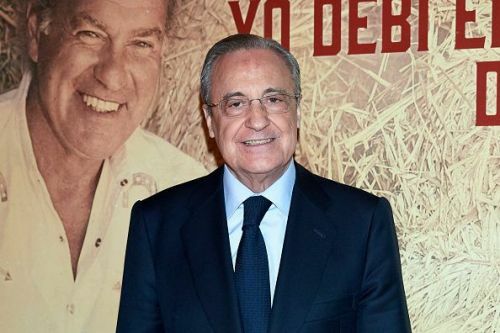 After that, he dropped the bomb, claiming that Real Madrid are interested in the player, are speaking to his family and that the news comes from a reliable source. “He’s physical, he’s quick, his maturity for his age is incredible and he’s getting better and better and better with every game,” he said. It just doesn’t seem like Real Madrid would want someone like Declan Rice in the team, no matter how talented the player might be, as the Galacticos already have talented young midfielders in their squad. With just 7 games to go for the Blancos this season, the main goal right now is to secure a second-place finish ahead of Atletico Madrid. After that, a summer of renovation awaits them as Zinedine Zidane will need to build a squad capable of winning major titles again.